Secure Auto Shipping is proud, and excited, to announce that we have partnered with UShip, a top option for people looking for the perfect shipping services. This partnership is one built off of quality work and great customer service, so it is sure to be a successful one! UShip is a trusted online shipping marketplace that connects consumers with companies who ship household goods, vehicles and more. Needless to say, if you need something shipped, they can help you get it done – and more importantly, help connect you with a trusted service provider like Secure Auto Shipping who is committed to working for you. When you visit UShip.com, you can select the category of items that you’d like to ship. Again, this list ranges from household items to livestock, so they’ve got you covered, no matter what you’re looking for. After you’ve selected what it is that you’d like to ship, you will specify exactly what it is and answer just a couple of questions, so that they can find the shipping company most suitable for your needs. Our partnership with UShip is helping people across the nation connect with our team of professionals to handle vehicle transports and more. We are among the fastest and most reliable transport teams in the world and we offer a large variety of transport services to our customers. Our team has worked with vehicle transport and shipping for years, including experience with shipping boats, cars, motorcycles and oversized loads. Whether you need enclosed, overseas, or seasonal shipping, we can take care of you and make sure that your cargo remains in pristine condition. 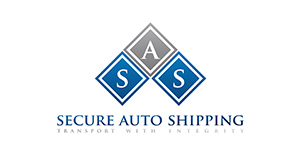 Get a speedy quote today when you contact Secure Auto Shipping! For more information on our partnership with UShip, visit our profile page on the UShip website.